eBay Bucks is a rewards loyalty cash-back type program run by eBay that gives a 1% credit on eligible purchases that can be used towards future purchases. eBay Bucks credits are earned throughout the financial quarter up to a maximum of $500 in eBay Bucks per quarter. eBay Bucks are available to spend on eBay at the beginning of the quarter after they are earned. Earned eBay Bucks must be spent during the first month of the quarter after they are earned. Periodically throughout the year eBay runs promotions that increase the earnings amounts of eBay Bucks. Typical promotions have increased the eBay Bucks earnings to 8%, 10% or 15% above the base amount of 1%. Items listed in certain categories, including the Bullion category and subcategories are ineligible for earning eBay Bucks. However, many of the trusted and reputable dealers that sell bullion products on eBay will list bullion products for sale in alternate categories that do earn eBay Bucks. How can I earn eBay Bucks when buying Bullion? 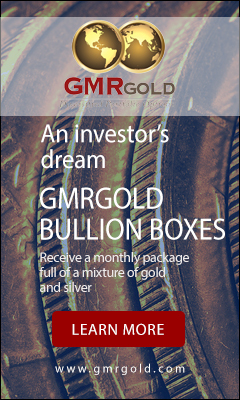 The base 1% reward can be earned by buying bullion that is listed outside the Bullion category, including those listed as Silver Bullion or Gold Bullion. Items in those categories are not eligible for earning eBay Bucks. That being the case, there are lots of bullion products that are listed in alternate eBay categories including other subcategories in Coins & Paper Money. Not all items are eligible. Sometimes items that are cross-listed in multiple categories that includes the Bullion categories. Notice at the bottom of the image you can see the green “Bucks” logo with the earning amount. How often are eBay Bucks promotions run? Historically, eBay Bucks promotions are run several times throughout each financial quarter. They are sometimes run several times each month. There’s no set schedule for when an eBay Bucks promotion is run. Nor is there any schedule for how much of a bonus will be offered on top of regular earnings. The promotions are offered at the sole discretion of eBay. How do I sign up for eBay Bucks? If you already have an eBay Account you can sign up for eBay Bucks by visiting the eBay Bucks signup page. If you do not already have an eBay account, you must first create an eBay account then signup separately for eBay Bucks. How can I find bullion items that are eligible for eBay Bucks? 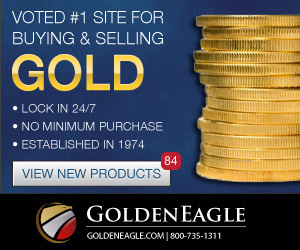 We maintain an ongoing list of popular bullion items that are eligible for earning eBay Bucks. Our list of eBay Bucks eligible bullion items includes gold bullion, silver bullion and junk silver items. Sometimes sellers will change an item’s category after the listing has posted. Be sure to look for the eBay Bucks earning amount on the listing to be sure an item is eligible. Can I spend my eBay Bucks on bullion? Yes. eBay Bucks can be spent on any bullion listings on eBay. 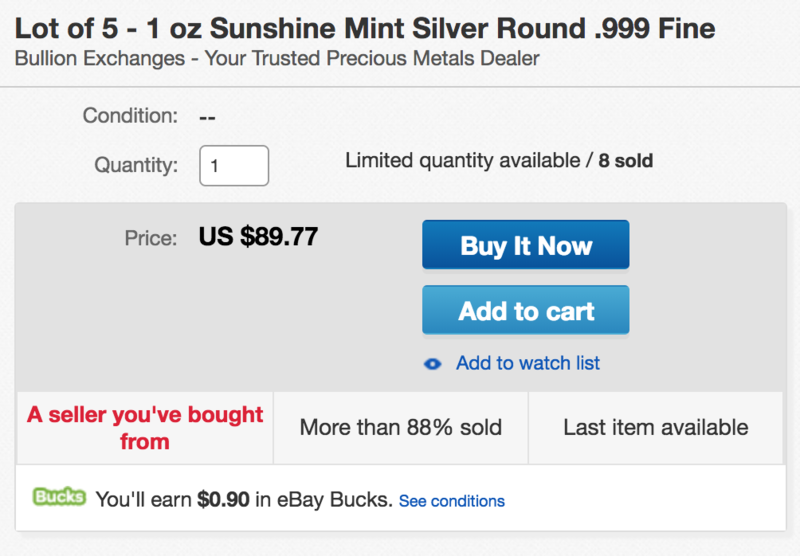 How can I avoid counterfeit bullion on eBay? 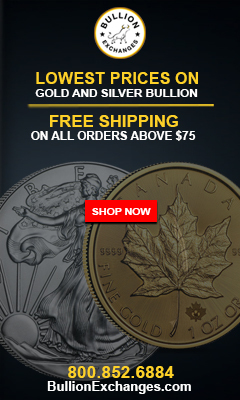 Always buy bullion on eBay from trusted and reputable dealers. There are certain things to look for that are red flags that an item could be counterfeit. Don’t risk it and stick with known sellers with high feedback and recent activity. Previous PostPrevious Why do online bullion dealers have different prices for cash or credit cards?